On one ideological extreme are those Islamists who seek to extract from the Ottoman past an Islamic identity capable of supplanting Turkish nationalism entirely. Though this is certainly a minority position in contemporary Turkey, it has gained considerable attention because it so perfectly inverts the supposed Kemalist view of the Ottoman past. That is, in the very early years of the Republic, Mustafa Kemal made the Ottomans a foil for the secular nation-state he sought to build by denouncing them as fanatically religious foreign usurpers who repressed their people’s Turkishness. As analyzed by scholars such as Alev Çınar, contemporary Islamist discourse seek to reverse this Kemalist project by replacing Turkishness with Islam and, in Çınar’s example, celebrating the conquest of Istanbul in 1453 instead of the foundation of the Republic in 1923. Though I would argue the vast majority of Turkish Islamists are devoted nationalists committed to some form of Turkish-Islamic synthesis, anti-nationalist Islamism has made sporadic appearances in mainstream discourse at least since the 1930s. More recently, though, shared Islamic values have been invoked in an attempt to transcend divisions created by official nationalist discourse. In 2008, for example, Erdogan famously said, in support of his Kurdish outreach initiative, that something was terribly wrong when Turkish and Kurdish mothers both recited the Fatiha over the caskets of their fallen sons. The focus on Mustafa Kemal’s anti-Ottomanism has led observers to ignore the Kemalist appropriation of the Ottoman past that occurred in the late 1930s, which subsequently dominated popular and official thinking. Culminating in the massive celebration of the five-hundredth anniversary of Istanbul’s conquest in 1953, Turkish nationalists realized that rather than denouncing the Ottoman past as religious and non-Turkish, they could redefine it as secular and Turkish, then celebrate it. Articulating what Buşra Ersanlı has called a “theory of fatal decline,” Kemalist scholars like Afet Inan have argued that the Ottoman Empire had been strong and successful in its Golden Age because it stayed immune from foreign and religious influence until, in the seventeenth century, fanaticism took hold of the Empire, its Turkish element became diluted, and decline set in. Celebrating Fatih Sultan Mehmet II in 1953, journalists and politicians fell over themselves to describe him as a “secular,” “western-oriented,” and “revolutionary” Turkish leader whose conquest of Istanbul helped bring the Middle Ages to a close, ushering in a new era and even the Renaissance. In their words, Fatih had been a pioneer of human rights and religious tolerance, so much so that they even suggested his ideology was embodied in the UN and NATO charters. Like Ataturk, this “Great Turk” had rescued Istanbul from foreign hands and given it as an eternal gift to the Turkish nation..
Secular Turkish Ottoman heroes have also been a staple of adventure novels, romances, and action movies over the last half-century. These fictional works amplified the prevalent themes in academic history, offering a similar ideology in starker, less nuanced terms. From Fazil Ferdiun Tulbentci’s ruddy, wine-quaffing, Turkish mariner Heyrettin Barbarosa, who first appeared in the pages of the CHP party paper Ulus in 1948, to Cuneyt Arkin’s Kara Murat in the 1970s, popular “Ottoman” heroes defended good Muslim Turks from their perfidious Christian foes while remaining perfectly secular in their own behavior. The more recent controversy over the soap opera Muhtesem Yuzyil—which Erdogan attacked for suggesting that Suleiman the Magnificent spent more time in the bedroom than on a horse—echoed debates over the first silver-screen sultans of the 1950s, which were repeatedly attacked on similar grounds. Today, as many Islamists have sought to claim the Ottomans as pious Muslim rulers, there are a growing number of secularists who seek to articulate their politics in resolutely anti-Ottoman terms. Far more common, though, even among the AKP’s most vociferous critics, is a desire to defend the secular Ottoman discourse against Islamist appropriation. With prominent historians weighing in on debates over whether the Ottomans kissed and controversies over explicit Ottoman poetry, Turks of all political persuasions generally accept the Ottomans’ centrality to contemporary Turkish identity, then debate the Ottomans’ identity the way Americans debate the religiosity of the Founding Fathers with an eye toward the present. When Islamists turned out to celebrate the death of Ertegrul Osman in 2009, for example, Soner Çağaptay declared, “I want my Caliph back,” referring to the “Scotch-drinking, classical music-listening” heir to the Ottoman throne who had believed in the Turkish Republic at the expense of his family itself. Today, though, there is no escaping the fact that the Ottoman past has come under the control of political Islam in Turkey. As authors such as Sam Kaplan and Etienne Copeaux have demonstrated, this process began with the articulation of a Turkish-Islamic Synthesis by right-wing intellectuals in the 1960s and 1970s. 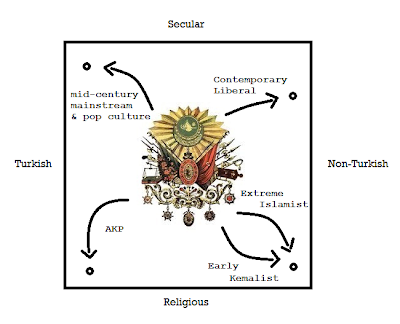 The Synthesis—famously summarized as “the best Turk is a Muslim, the best Muslim is a Turk”—gained force in the 1980s when it was promoted by the Turkish military as an antidote to “godless” communism. The rise of political Islam over the past two decades has made a synthesis-inspired reading of Ottoman history the central one in Turkish politics. Thus no one was surprised when the recent film Conquest 1453 began with a quote from the Prophet and included, alongside a love story and a parable about fatherhood, lengthy footage of Fatih’s men praying before capturing Istanbul. It is worth noting that, to the extent that Ataturk’s vision of Turkish nationalism always included some element of shared Islamic identity at its core, even secular articulations of the Ottoman past made use of Islamic symbols. For example, a young Nazim Hikmet, in an early poem written before he became a communist, used Fatih’s transformation of Hagia Sophia into a mosque as a symbol of Turkish national pride. What stands out about the current Islamist Ottomania is both the emphasis on the piety of Golden Age sultans like Fatih and Suleiman and but also the attempt to reclaim later sultans like Abdulhamid II, who were disparaged by even the most pro-Ottoman Kemalists. 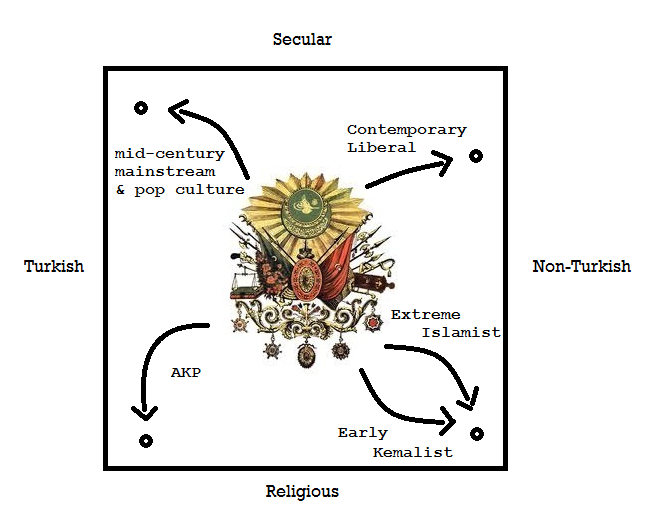 One of the most striking differences between the secular pro-Ottoman discourse and its Islamist counterpart lies in the way each uses the idea of “Ottoman tolerance.” Nationalists insist that tolerance is an innate Turkish virtue practiced by the Ottomans as Turks, while Islamists emphasize that the Ottomans were tolerant in accordance with the enlightened precepts of their Islamic faith. Adherents of both discourses have been all too happy to take the rhetoric of Ottoman tolerance to chauvinistic extremes, drawing pointed contrasts between the Ottoman Empire’s enlightened behavior and the barbaric intolerance of the Ottomans’ non-Turkish, non-Islamic enemies. Even in more moderate form, both of these discourses remain distinct from the truly liberal vision of pre-national Ottoman multiculturalism that has been advanced by many academics, artists, and progressive thinkers. In this more sincere form, the discourse of Ottoman multiculturalism combines an academic effort to overcome the limitations of nationalist history with a political project seeking to overcome the limits of national borders. Historians have effectively dismantled an outdated—though still popular—literature that projected twentieth-century national rivalries back into the Ottoman past. In the political realm, governments and international institutions have selectively appropriated this history for their own ends while also funding its production. In the process, an academic literature focusing on syncretism, malleable identities, and cross-cultural flows has been transformed into a sometimes romanticized vision of an Ottoman Empire where co-existence rather than conflict was the norm. 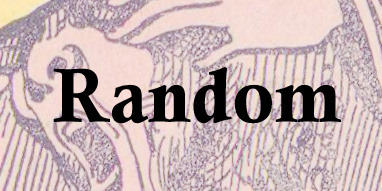 While it is no longer controversial to suggest that during the twentieth century, nation-states promoted the writing of national history to advance their interests, historians have been more hesitant to accept the fact that, in the twenty-first century, international institutions have had equally pragmatic reasons for advancing a new vision of trans-national history. The EU, for example, which has a clear interest in transcending regional borders and the nationalist rivalries behind them, has played an important role in funding the conferences, books, museums, and universities that have promoted the idea of Ottoman multiculturalism. Turkish businessmen, for their part, are well aware that it is easier for their expanding companies to sell biscuits in former Ottoman lands with rhetoric that stresses harmony rather than hostility. Once observers move beyond a reflexive association between Ottoman nostalgia and political Islam, they will be better able to understand how the Ottoman past, like all history, is an arena for symbolic competition between all of the obvious ideologies—nationalism, religion and liberalism—vying for control of Turkey's future. A number of images of these celebrations are available courtesy of the Ottoman History Podcast. Afet Inan, ‘Türk-Osmanlı Tarihinin Karakteristik Noktalarına bir Bakış,’ Belletin, Volume 1, 1937. For an overview of the ceremonies, see Ferdi Öner, “Fethin 500 uncu yıldönümü Tören ve Şenlikleri başladı.” Cumhurriyet, 30 May 1953; or “Fatih ve Topkapi’daki torende yüzbinlerce Istanbullu bulundu,” Vatan, 30 May 1953. For some particularly striking examples of typical Conquest Day rhetoric, see Sami Nafiz Tanus, ‘Sanatkar Fatih,’ Cumhuriyet, 31 May 1953; Hasan Ali Yücel, “Fethin Önemi,” Cumhuriyet, 29 May 1953; or Atac, “Yeni,” Ulus, 31 May 1953. See Morris Kaplan, “Turks Here Will Sip ‘Lion’s Milk’ To Mark Victory of 500 Years Ago,” New York Times, 29 May 1953; “Istanbul Fatih’i kucakliyordu,” Istanbul Ekspres, 29 May 1953; Ecvet Guresin, “Tolerans Bayrami,” Vatan, 7 June, 1953; or the Fetih Day speech by Istanbul’s Mayor Fahreddin Kerim Gökay widely reported on 30 May. “Ankara’da Dun Yapilan Torenler.” Ulus, 30 May, 1953; “Times’in Fatih ve Atatürk yazisi vesilesile,” Cumhuriyet, 10 June, 1953.